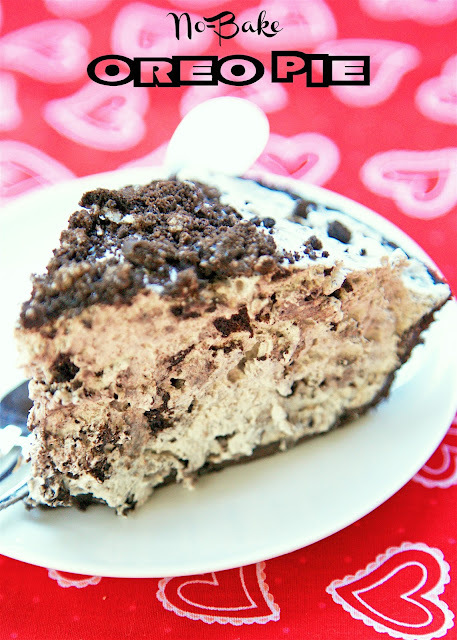 No-Bake Oreo Pie - only 4 ingredients. Takes 5 minutes to make and tastes amazing!! Oreo lover's dream! 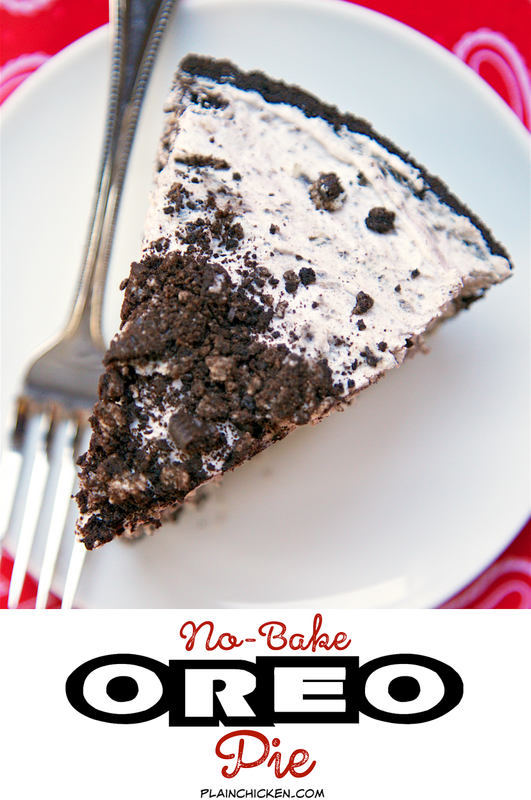 We are obsessed with this No-Bake Oreo Pie. It only has 4 ingredients and tastes great! I used a pre-made Oreo pie crust, and it literally took 5 minutes to make this pie. The hardest part is waiting on it to set up. It definitely tastes better after it has been refrigerated overnight. 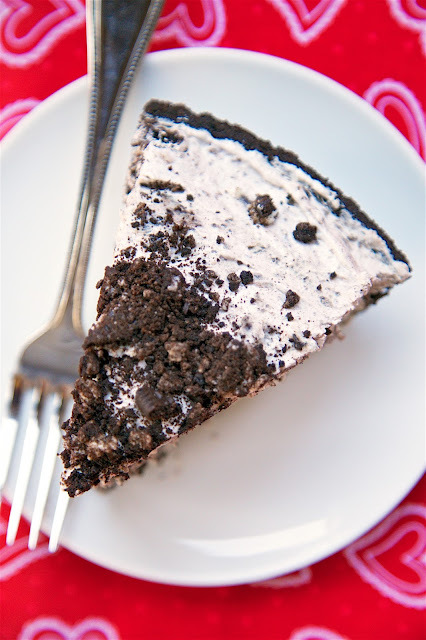 This No-Bake Oreo Pie is so light and creamy. It is way too easy to eat! :) You could easily cut the calories in this pie by using low-fat cream cheese and low-fat or fat-free cool whip. Reserve 1/4 cup crushed Oreos for top of pie. Combine cream cheese and remaining crushed Oreos. Fold in Cool Whip. Spoon into pie crust. Top with reserved crushed Oreos. Cover and refrigerate at least 4 hours before serving. Totally delicious! I'll take a slice, who am I kidding? I'll take two! Your instructions don't mention mixing in the cool whip. I'm assuming I mix that with Oreos and cream cheese. Sorry I'm blind!! I see it now. Thanks!